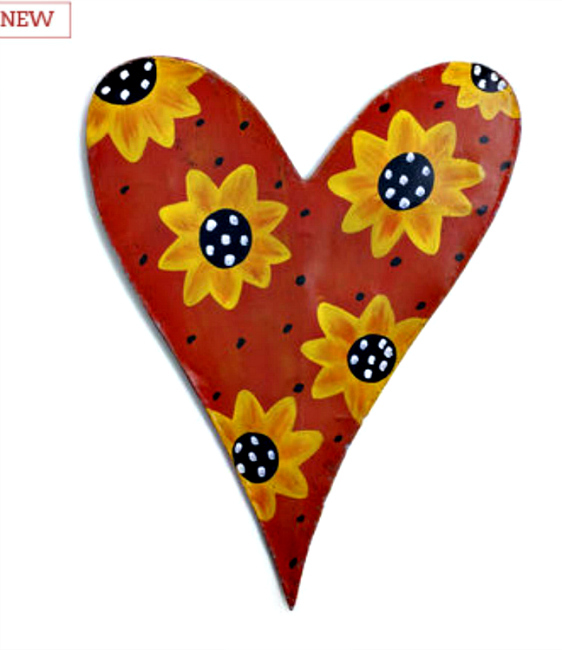 Heart with Sun Flowers Door Hanger from Silvestri by Artist Peri Woltjer of DEMDACO. Made of Aluminum Screen and Hand-Painted. Measures 23'W x 29.5"H.